Are you looking for someone to help with Albury Wodonga website maintenance? Contact us. An important (but often forgotten) part of having a website is its ongoing maintenance once it is completed and handed over to clients. This applies to the core WordPress software and also to any Plugins that may be used within the website Who’s job is it to keep all the software up to date? Usually when a website developer hands over a website they are finished with the job and move on to the next project, but what happens when the software needs to be updated because of security or functionality reasons. Who undertakes these updates? Software and plugins that are used in websites will continually be developed and patched with security and functionality updates. These need to be updated as soon as possible once they are released. WordPress runs using themes (purchased, obtained as free downloads or custom built). Choosing a theme and plugins seems like a simple task, many look the same and many plugins do the same/similar functions however there needs to be a careful approach to choosing what is used on a website. In choosing themes and plugins you need to consider how long the developers have been around, if there is more than one developer involved in its creation, how regularly it is updated, and feedback from past users. 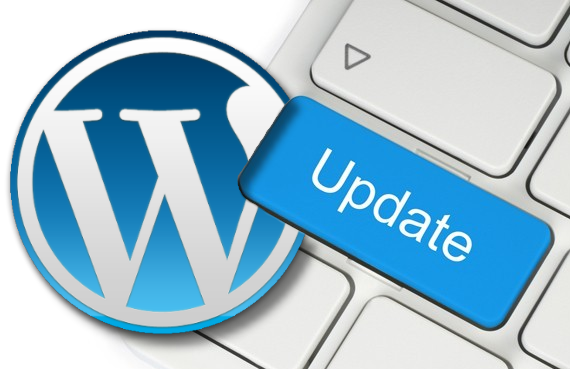 If we build and host the WordPress website we undertake the updating of core WordPress software and plugins as updates are released. It is a managed server service that we provide. Want to keep your website current and relevant but you don’t have the time to do it?